Oral treatment for acetonaemia (ketosis) in cattle and pregnancy toxaemia in ewes (female sheep). 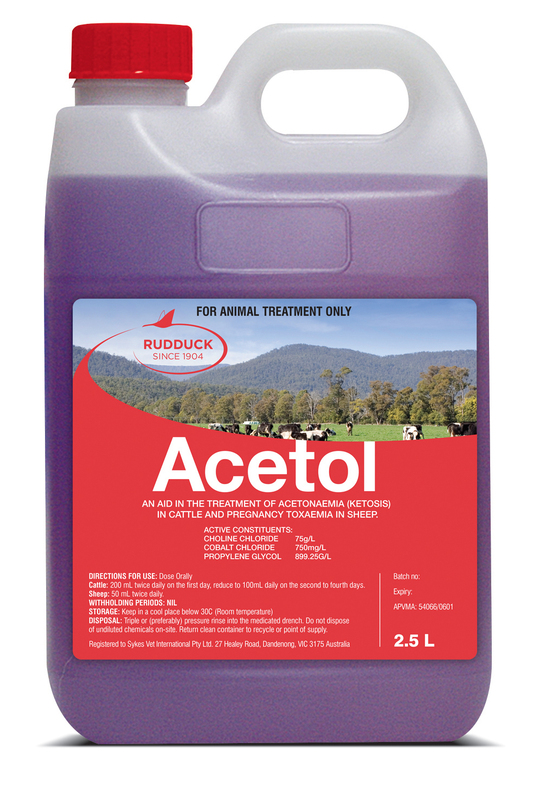 Rudduck Acetol should be dosed orally. Dispose of empty container by wrapping with paper and putting into the garbage.